Installing a new electric dryer may require testing the 220 volt outlet to ensure it is working and can provide the necessary voltage for proper and safe operation. 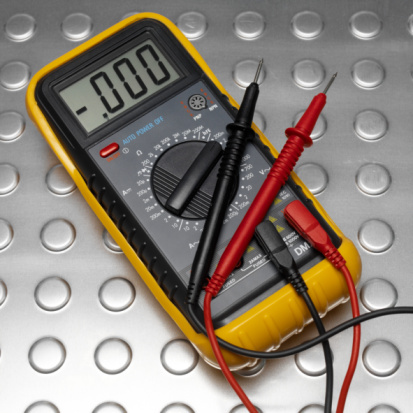 Using a multimeter or sometimes called a VOM (Volt Ohm Meter), will provide an instant and accurate reading of the voltage in the outlet. 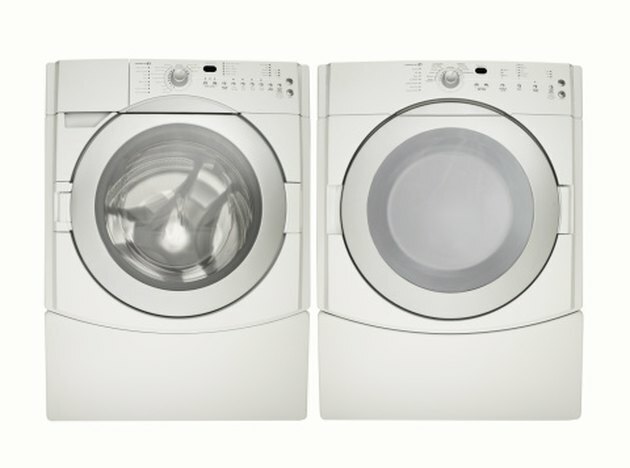 The typical dryer requires 220 to 240 volts to run, and simply just plugging in the dryer to the outlet to see if it will work could cause damage to the dryer or electrical circuit if the voltage is not correct. Test your dryer outlet to make sure it is working safely. Locate the circuit breaker for the 220 volt dryer outlet in the main circuit panel, which is typically located in the garage or utility room. The circuit breakers are labeled on the door of the panel, and the 220 volt circuit breaker will be a larger two pole breaker. Plug the two tester leads into the multimeter. Plug the red lead into the red, positive (+) jack, and the black lead into the black, negative (-) jack. The jacks are typically color coded so the user can easily identify and make the proper connections. Insert the two test leads (one each) into the two "hot" slots of the outlet. For a three-prong outlet, the two "hot" slots will be slanted; for a four-prong outlet the two "hot" slots will be the two outside vertical slots. Once inserted, the voltage should read between 220 to 240 volts. Insert the red test lead into one "hot" slot and the black test lead into the neutral slot. For both the three- and four-prong outlets, the neutral prong will be L-shaped. Once inserted the voltage should read between 110 to 120 volts. Move the red test lead to the other "hot" slot and the black lead in the neutral slot and again the voltage should read between 110 to 120 volts. Remove the test leads from the outlet, and turn the VOM to the "off" position. Plug the dryer cord into the dryer outlet for operation.